Whoever asks me what should they do to get an insight into the tradition & culture of a country, to take one step closer to the spiritual life of the locals, then honestly, nothing better than getting into this nation’s festivals which will give you a panorama of these things. 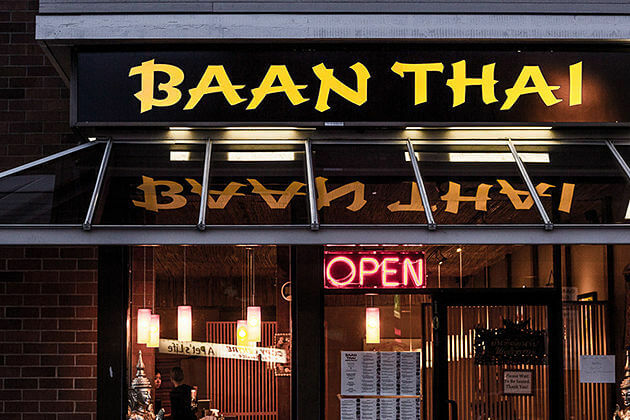 It is true, I’m sure, especially when you travel to Bhutan, a Buddhist country, where converges a vast of mysteries, old-aged historical sites, and most importantly, there are so many lively festivals showing travelers the culturally spiritual value that has been playing an essential role in the locals’ lives for a long time. 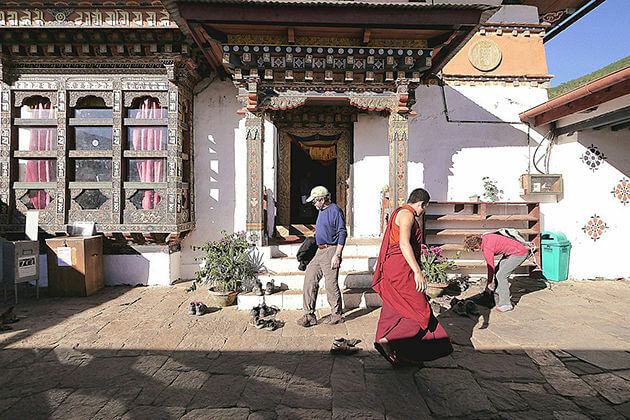 If you are planning a vacation to Bhutan and your purpose is about indulging yourself in the vibrantly Bhutanese festivals to experience the sacred ambiance along with owning an extensive look at Bhutan’ religious culture, don’t be hesitant as let quickly stroll around have your own tour packages among our ready-made Bhutan Festival Tours. If you do not see the festival you would like to attend in our list, please feel free to contact us then we will help you to customize the finest Bhutan festival itineraries as you wish. Day by day, you wake up and pinch yourself whether if you are still in a dream or not. Then you get a little bit tired when you realize that you are definitely in real life. So, what does it mean? To me, you are in a not good condition, the person inside you – your mind, I mean, is complicated so you need a little retreat in mind. 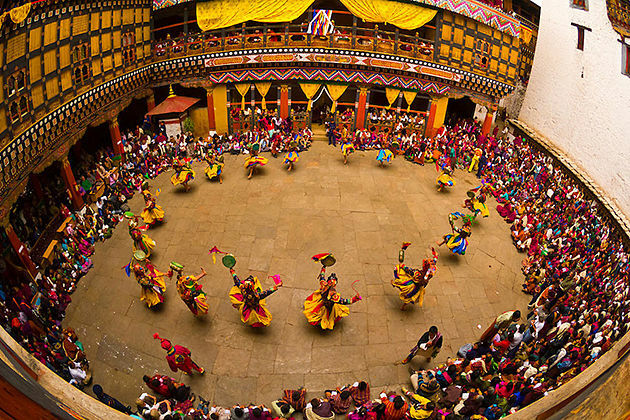 Then you find out Tshechu, a Buddhist festival in honor of Buddhist Saint Padmasambhava (Guru Rinpoche) that will come to you with color, music, dance, and drama to let you feel blessed. Since then, you can live your life without worrying about what will happen next. 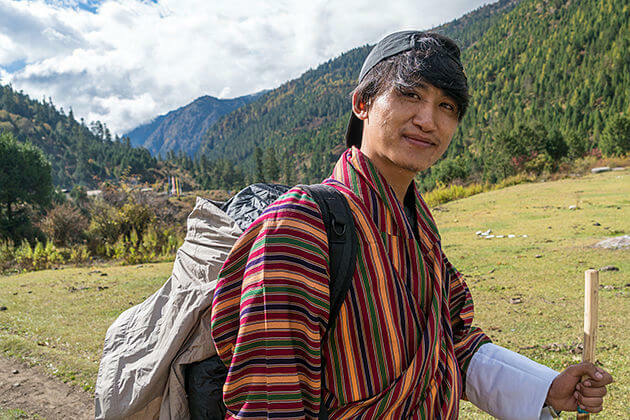 Now, do not waste your time anymore, go with us and see what exactly Tshechu/ Festivals in Bhutan are before making up your mind to book or customize your own Bhutan Festival Tours. Thimphu Festival, without doubt, is one of the biggest events in Bhutan lasting 3 days that is annually held on the courtyard of the Tashichhodzong and is considered one of the most beautiful tshechu in western Bhutan. Getting into the festival, you will witness thousands of people, many of whom travel from neighboring Dzongkhas to attend the tshechu. 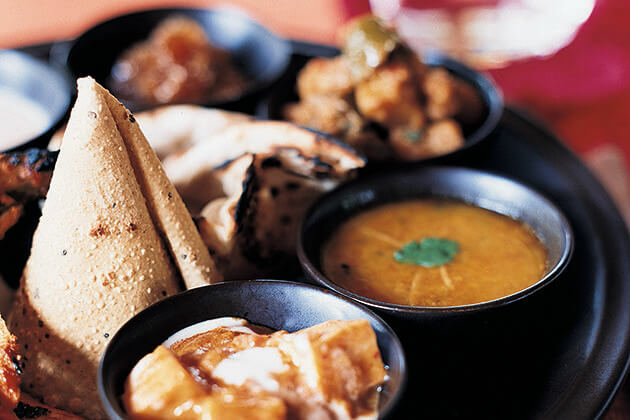 Once there, you can indulge your soul in the sacred dances and rituals performed by monks and laymen in elaborate, colorful costumes as well as feel a bit sacred in mind. 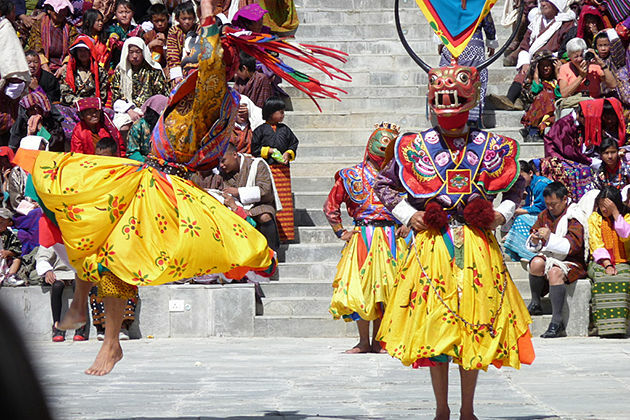 Paro Festival is a massive event in springtime in Bhutan. 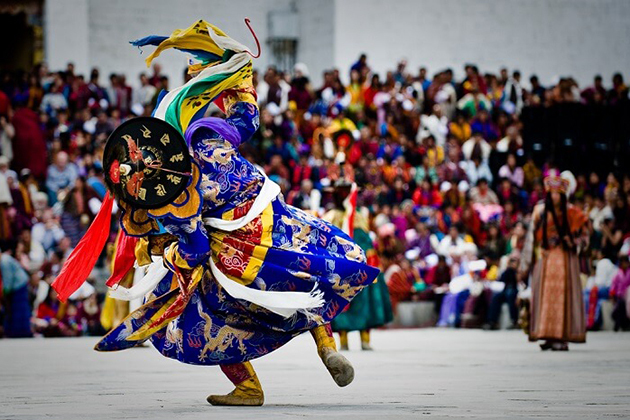 Just like Thimphu, during the festival’s time, thousands of people come to the city to socialize and dance. 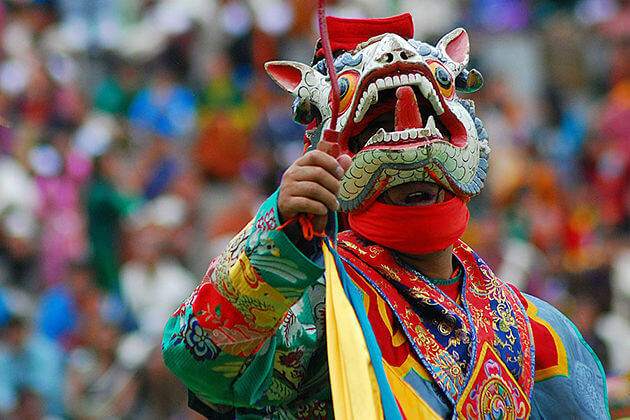 When the event happens, it’s time for you to marvel at sacred dances and rituals displayed by monks and Layman dressing up in dazzling brocade costumes and re-enact famous legends in Buddhism Bhutan. Once there, you will fall in love with the vibrant ambiance of the festival as there will be a performance of dancers wearing colorful costumes and different masks. Moreover, at the end of the Paro festival, aa four-story thangkha (Buddhist religious painting) will be unveiled in the celebration. Once again, after experiencing all these rituals, be ready to feel something sacred and a little bit peaceful in your mind. 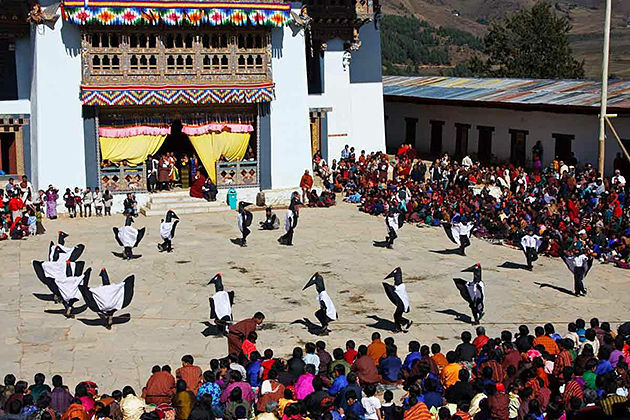 This Bhutan Festival is celebrated in Bumthang, the spiritual heartland of Bhutan; hence it is far to easy to understand why Jambay Lhakhang Drup Festival is one of the most important events in such a country. If you don’t want to miss any part of the 4-day festival, go to bed early will be a crime because this event itself will last from day to late at night. 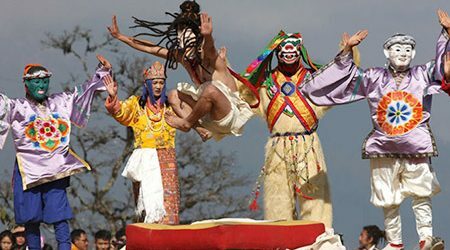 In the festival, you might also see the masked dance; however, it is a bit different from elsewhere. 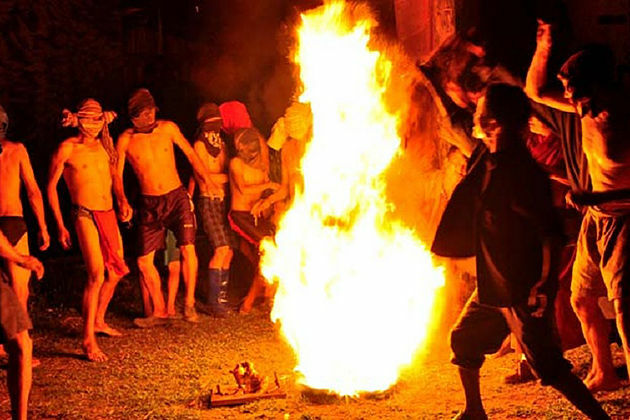 I would be brutally honest that my favorite part among other during my time enjoying the festival is naked dance known as Ter Cham and Mewang or the fire blessing as the dancers will perform it around the camping fire in the midnight. I heard that this fire dance is held to bless infertile women so that they may bear children after that. Overall, if you want something weird yet unforgettable happening on your Bhutan Festival Tours like mine, the Jamay Lhakhang Drup Festival will be your thing. I also had an opportunity to attend this fascinating festival and really enjoyed it mostly because I am a nature lover and more than that the tshechu itself had its own meaningful message. Black-necked Crane Festival is not only celebrated to rejoice the arrival of the black-necked crane – the endangered bird that has become an inseparable part in their daily lives during the winter but to raise the awareness and understanding on the importance of conserving the endangered bird. Talk about the festival, you will enjoy some cultural programs like folk songs (without understanding their meaning), black-necked crane dances as the dancers will put on the black-necked crane costumes while performing the dance, and masked performed by the locals. Furthermore, if you love watching drama, it will be a great opportunity to watch the environmental conservation-themed dramas displayed by school children. Wangduephodrang Festival is a fairly new one among other Bhutan Festivals; however, it has been one of the largest tshechus in Bhutan so far. I love this festival because unlike other festivals celebrated for the religious purpose only, it is organized to bring people together and promote peace and harmony between people. So, if you have a chance to experience this festival, it will be great for you to drink, dance, and socialize. Raksha Mangcham or ‘Ox Dance’ is the most important part of the festival. On the other hand, just like other festivals in Bhutan, the Wangduephodrang Tsechu finishes with the unfurling of the Guru Tshengye Thongdrol. 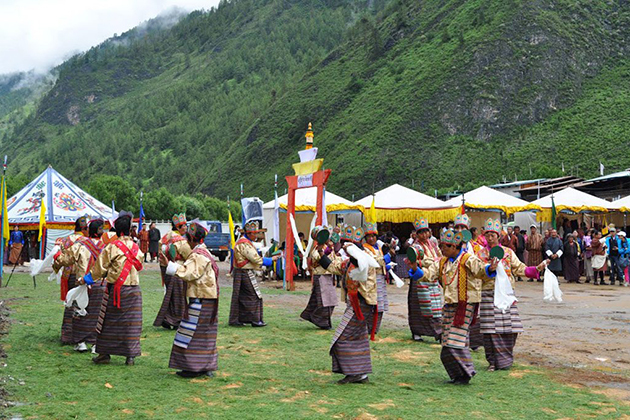 Haa Summer Festival is one of the most spectacular festivals in Bhutan not only because of the spiritual values it has, but also its most impressive settings with superb lakes and lush valleys that are a backdrop to this wonderful festival. If you have an opportunity to attend this event, you will notice that unlike other tshechus, this one is celebrated by the nomadic herders living in Haa Valley to express the traditional-living style of the locals. 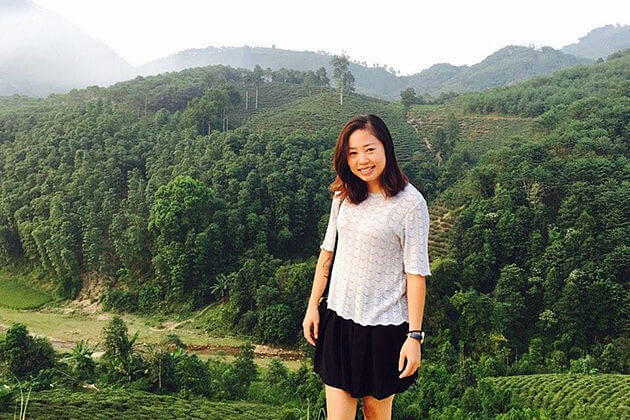 It can be a perfect experience for those who want to get an insight into the old-world culture and history. More than that, getting into the festival, you have to be ready to join with the locals as you will drink, sing, and dance with them. 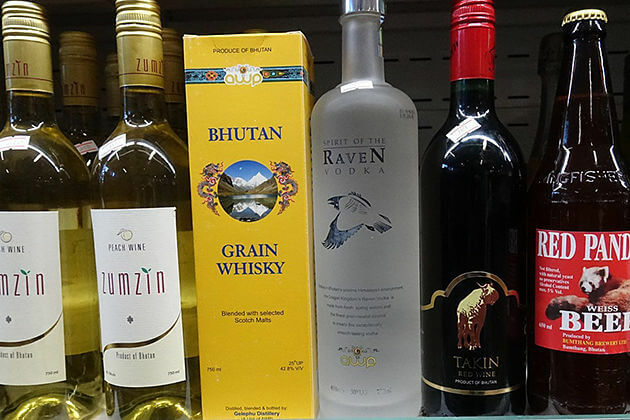 In short, the Punakha Drubchen is a fascinating tshechu as it is celebrated for the victory of Bhutan when the armies successfully defeated the Tibetan forces of invading in the 17th century. 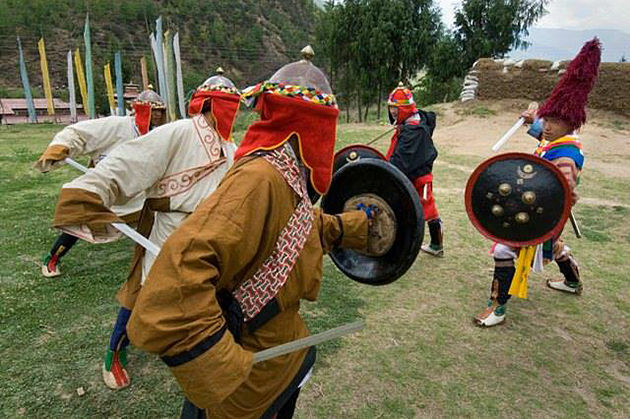 During the time of the festival, you will notice that the local military and villagers will re-enact the battles yet in glorious costumes of bright colors. If you think that is all, not so fast. The tshechu is held within the most beautiful Dzong in Bhutan – Punakha Dzong; hence, why don’t you take this chance to experience both the traditional & cultural values as well as the breathtaking vistas outside the Dzong.